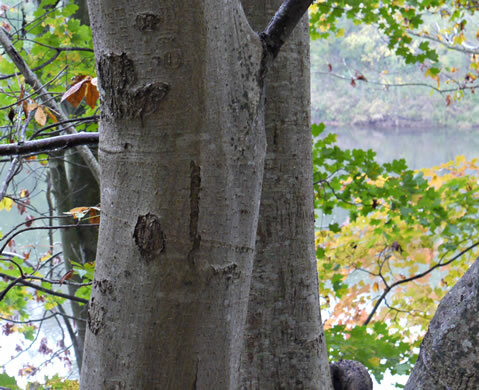 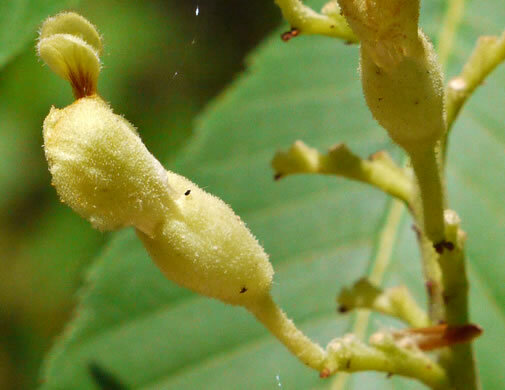 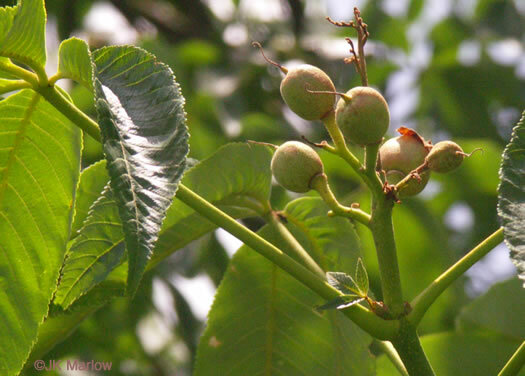 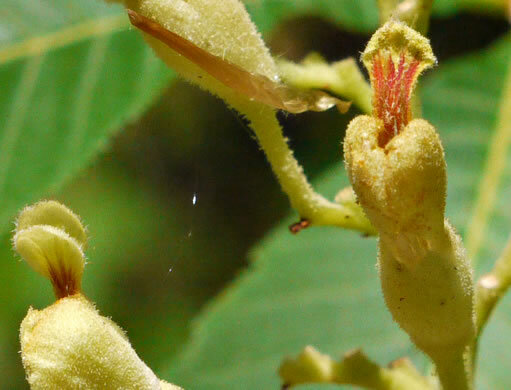 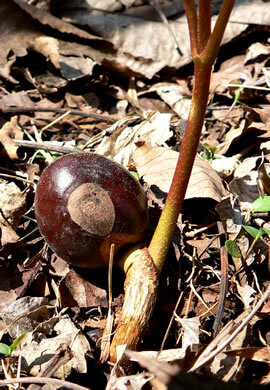 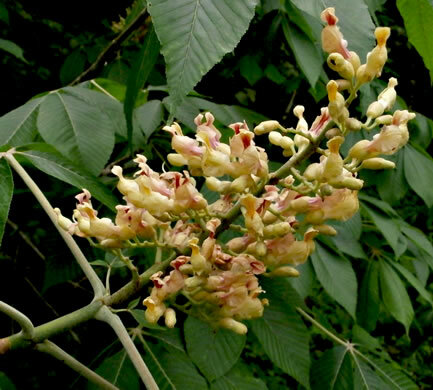 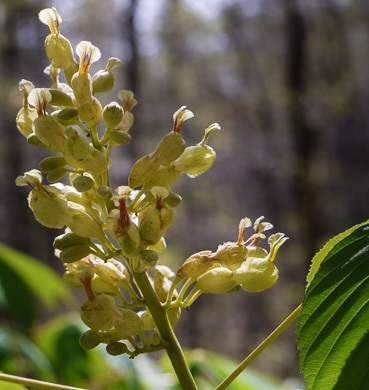 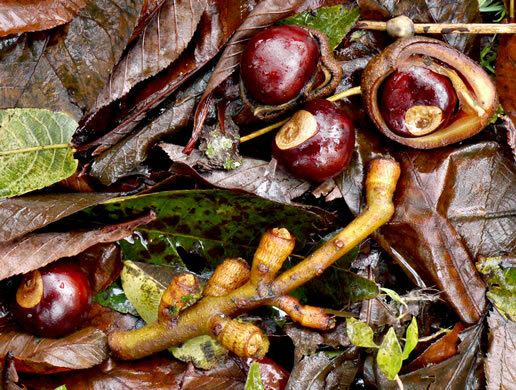 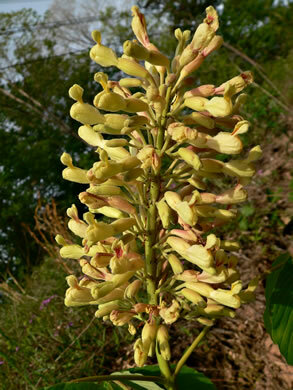 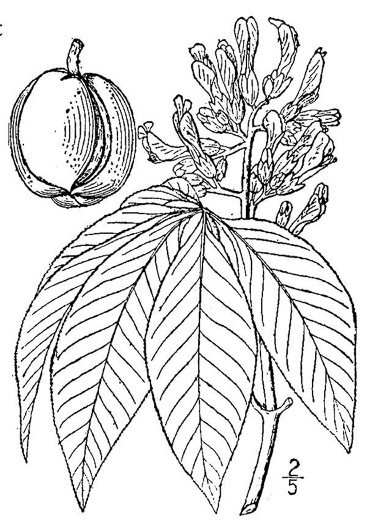 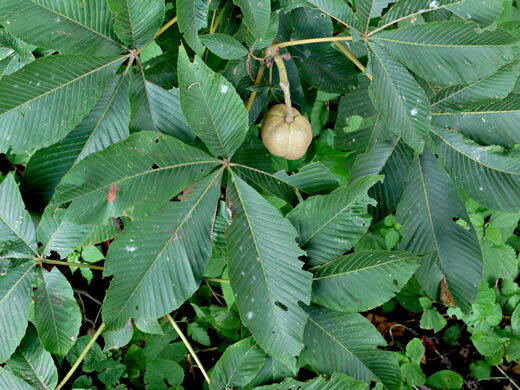 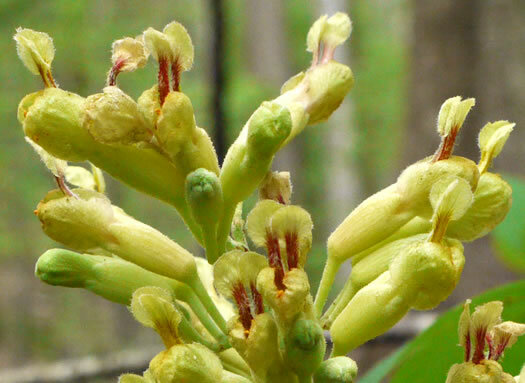 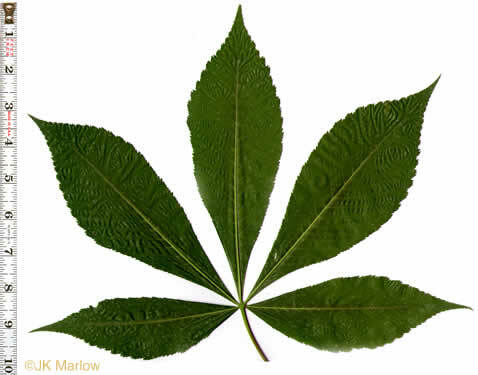 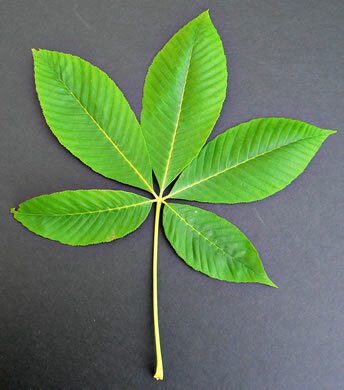 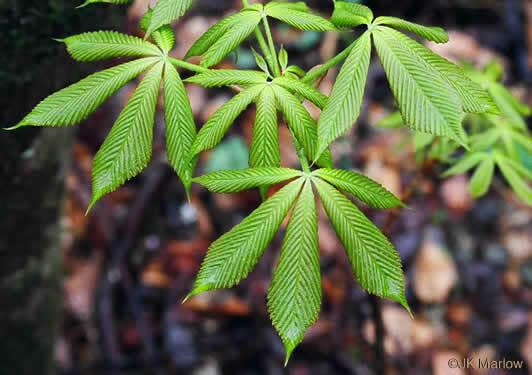 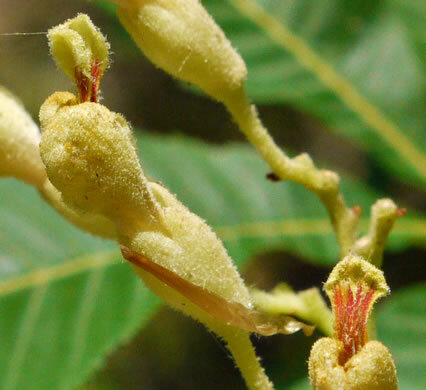 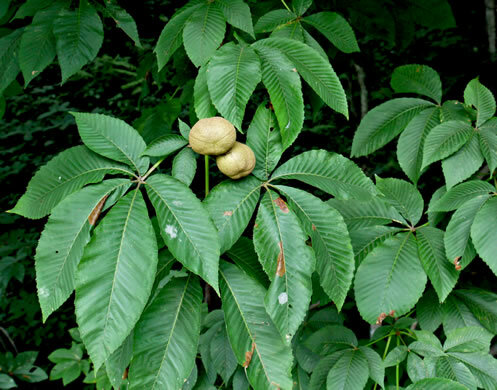 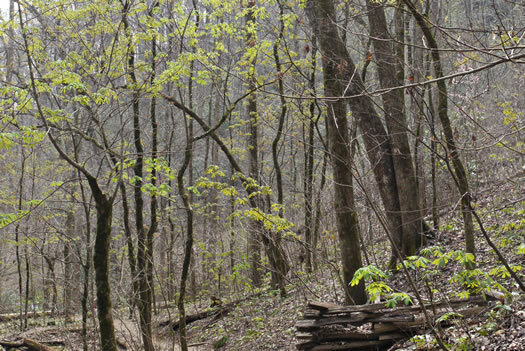 In general, Yellow Buckeye is found in mountainous areas, per Native Trees of the Southeast, An Identification Guide. 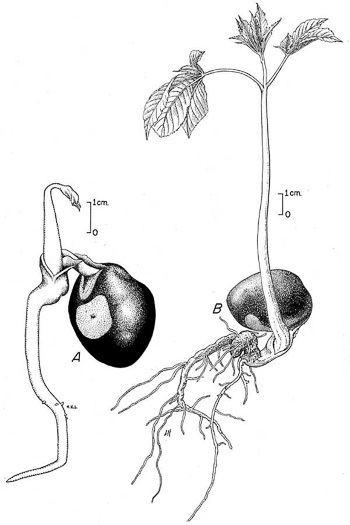 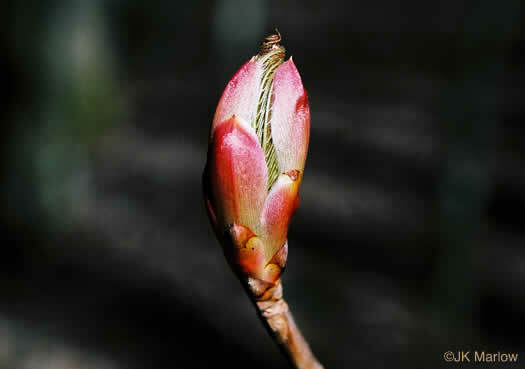 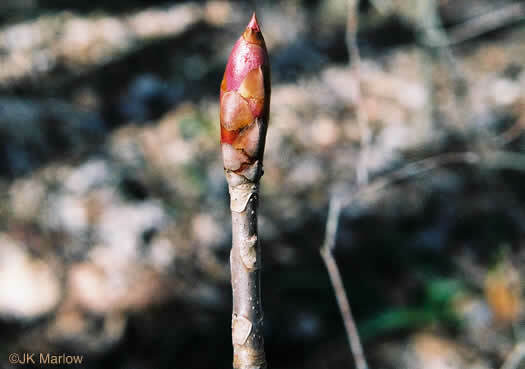 As the bud scales separate, the leaves become visible. 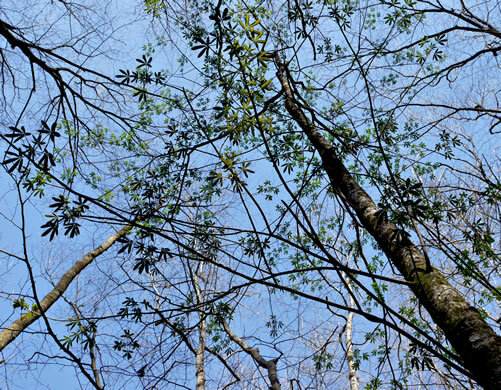 One of the earliest trees to leaf out in the Spring. 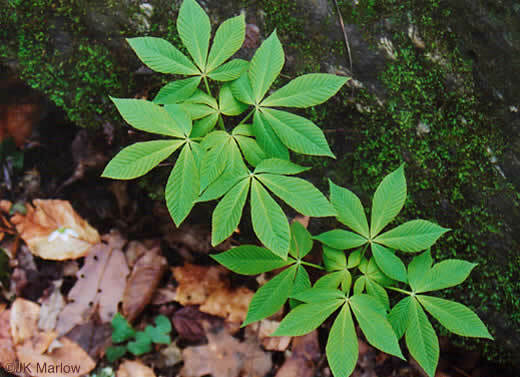 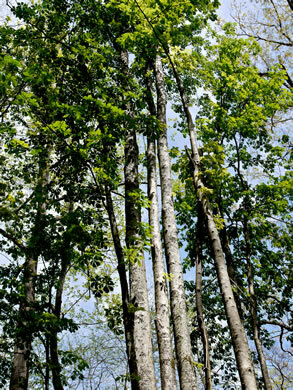 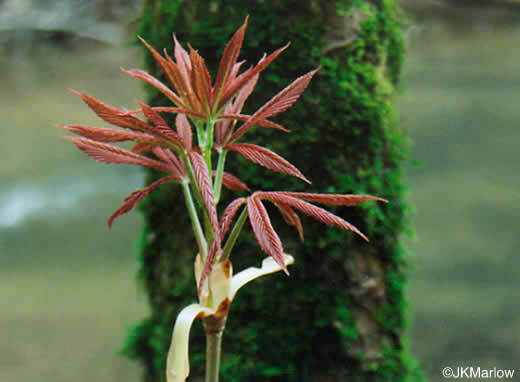 Opposite, palmately compound leaves with usually 5 finely toothed leaflets, per Woody Plants of the Blue Ridge. 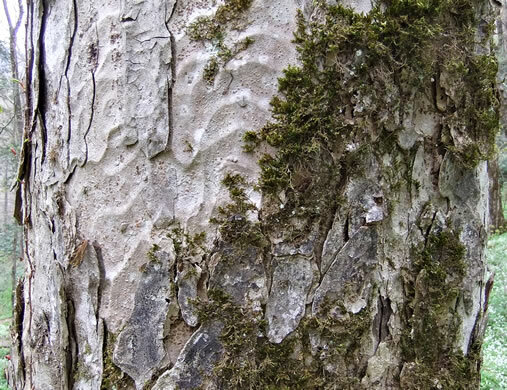 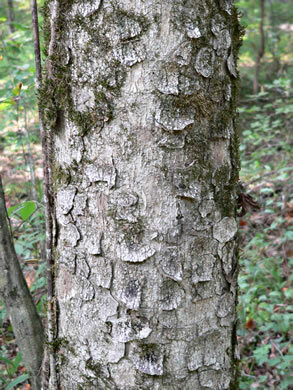 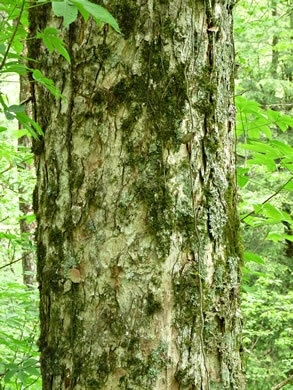 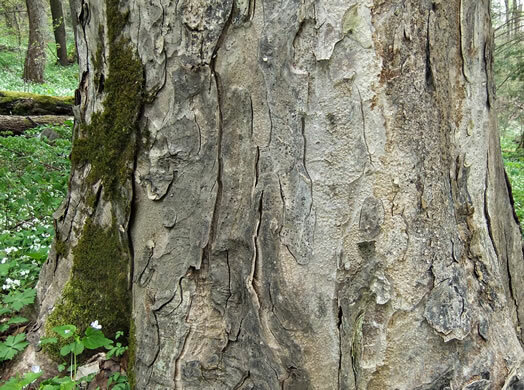 With age bark becomes scaly or with large gray to brown plates, per Woody Plants of the Southeastern US: A Winter Guide. 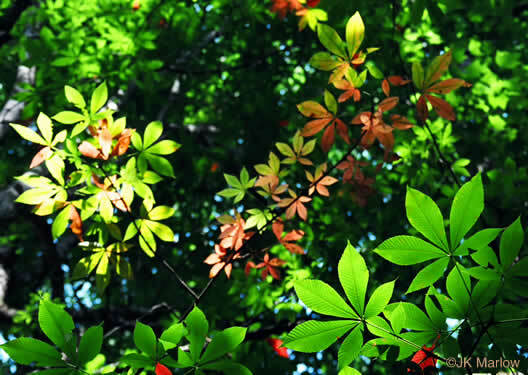 Early to begin turning color in the Fall. 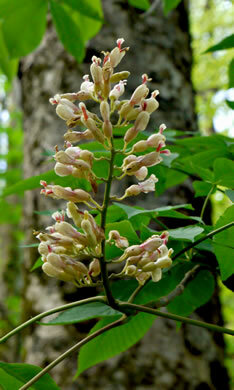 Capsules 5-8cm broad, per Vascular Flora of the Carolinas. 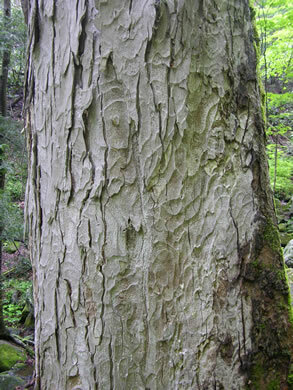 Young bark gray and smooth, per Woody Plants of the Blue Ridge.